It finally hit me today. As I was watching Moncef Marzouki giving his first speech as president last night, I had tears in my eyes. I then heard his voice crack – as he evoked the memory of the bullets that our young Tunisian men and women suffered for this day. Then came the national anthem, and as against nationalism as I am, watching the scene of an organized cacophony take place among a group of former governmental foes – most considered heros behind doors – so organically sing the anthem was incredibly moving. What’s more touching is Marzouki’s academic background and his unfamiliarity with any sort of grandiosity. He is not eloquent. He does not look, dress, or speak like a “head of state” would. While his words are beautifully written, they are seldom spoken with the level of beauty that they deserve. But I find these little nuances to be so endearing – yet so indicative of how far the country has come. In exile for so long, Marzouki was also jailed in his past, and here he is, about to start living in the presidential palace. 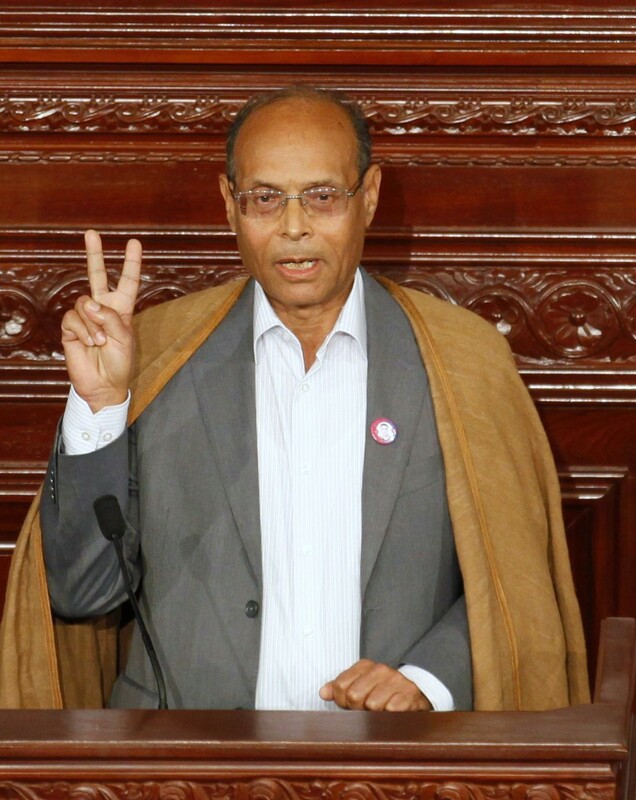 Marzouki dorkily flashing a victory sign as members sung the national anthem reminds us all that, no matter political convictions, one must admit: we have come a long way. It has been quite busy here at Tunisia Live – I have recently been hired as the publication’s editor-in-chief. However, I will be writing more once all ministerial posts are appointed.